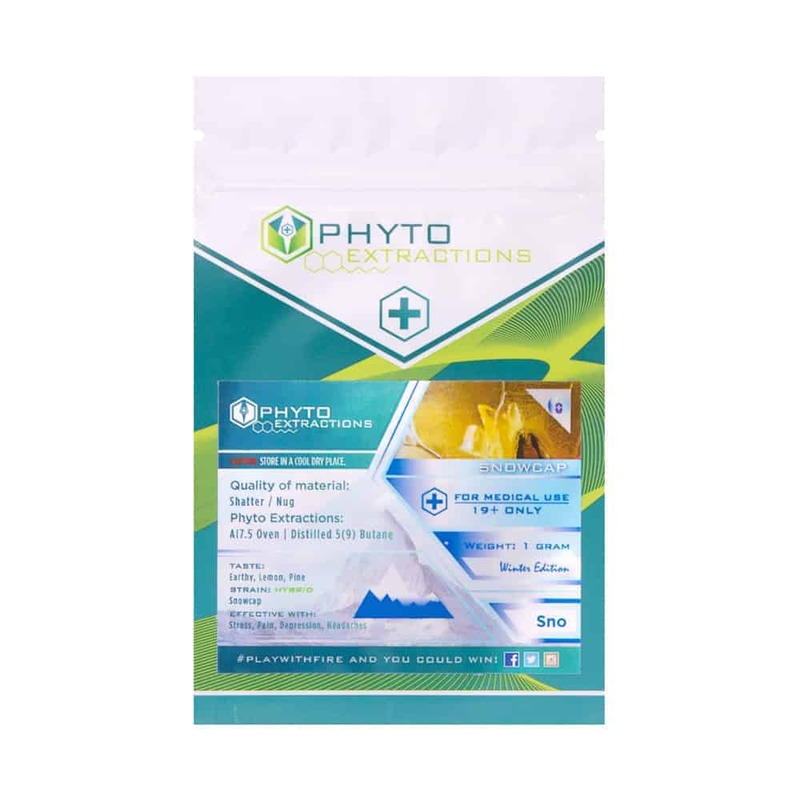 2 reviews for "Phyto – Snow Cap – Hybrid Shatter"
The strain is better concentrated than it is as a flower in my opinion, It seems way more true to its listed health benefits when its concentrated. I found that its smoother to add to a bowl of weed for my bong over the good old dab rig. I coughed way less having more content to the bowl than just shatter. This strain was a nice change from all the fruity flavors iv’e been trying out. This shatter has a earthy pine/herb taste with a little hint of citrus. Overall it was nice smoke and I would buy again.